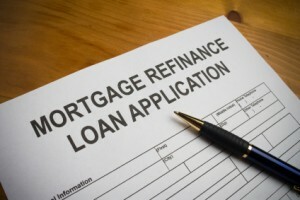 Can Adding My Name To A Deed Help My Husband Refinance? Can I Refinance My Husband’s Mortgage By Putting My Name on the Deed? Q: Is it possible to temporarily transfer the title to my husband’s home into my name? This way, we could refinance with my credit scores. A: Unfortunately, what I think you’re trying to do is likely not possible at all for several reasons. First of all, if the home and mortgage are currently solely in your husband’s name, he doesn’t just have the title issued in his name; there’s also a mortgage or some kind of a promissory note to a bank that’s attached to it, which he is legally obligated to pay. So even if you did transfer title or you could be added to the deed, both of which may be possible, that does not negate the underlying note and the promissory note that he has signed. I don’t know what state in which you live, so I don’t know whether or not there was a mortgage note or a promissory note. But again, since you’re trying to refinance, there is obviously a mortgage involved here. And bottom line: he’s the party who is financially responsible to pay that mortgage back to a lender. Additionally, your idea about putting the house in your name in order to do the refi with your credit score may not be the perfect solution you’re hoping for in this case. That’s because a lender would not only want you to show a strong credit score, but would also want to see your income and also the property value would have to come in according to expectations as well. As you probably already know, through the credit crunch, lenders have gotten a lot more strict about to whom they will extend credit and loans. Even though you presumably have a very strong credit rating, and your husband’s credit is presumably not good, good credit alone wouldn’t get you the refi that you want done. You’d have to be able to document your income and show a sufficient debt to income ratio that would be acceptable to the bank. 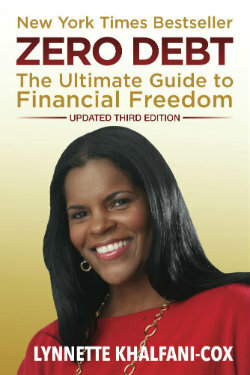 This means that any other joint liabilities or debts you may have with your husband would still be counted against you. For example, if you both have a car note together and you’re cosigners on that car loan, then that is included in your debt to income ratio. If you guys have joint credit cards, those balances would be included in your debt to income ratio as well. Overall, it’s not a strategy likely that would work simply by putting title in your name. If a sale took of the property took place and the home was sold to a third party, in theory, then, your husband would be off the hook for that debt. Could you turn around and then buy the house, getting a mortgage in your own name and using your credit? I suppose, if you met all the other criteria mentioned above and if you wanted to engage in some serious shenanigans that likely borders on mortgage fraud. That’s because no third-party stranger is just going to buy the house and then turn around and sell it back to you. Nor could you just “buy” the house from your husband. Since you two are married, lenders would not look at it as an arm’s length transaction, especially since you both presumably live in the home together. So overall, you’ll have to find a different solution to get that refinance done. The best option may be to simply start working on improving your husband’s credit rating so that a refi is possible – provided all the other conditions can be met, such as equity in the home, income, etc. Throughout many articles on AskTheMoneyCoach.com, I give tons of tips and advice on how to improve one’s credit rating, so do check out other articles posted there. 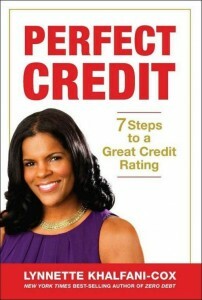 Also, my book, “Perfect Credit: Seven Steps to a Great Credit Rating,” can give you some tips on boosting a person’s credit rating. Good luck!